The instant I became a parent I was flooded with feelings of love warmth and joy. However it also came with intense feelings of vulnerability knowing that I now had something special. Both sides of my children’s family is riddled with addiction and alcoholism. My boys grandfather on their father’s side lost everything to alcoholism including his stomach. He was a brilliant man but couldn’t walk a sober day in his life. Even though I knew nothing at all about the disease back then, I instinctively knew that it was hereditary. A disease one or both of my off springs could be inflicted with. This sent me on a mission to understand and hopefully prevent the disease from devastating my life. I would say that I went on a pretty comprehensive investigation. I listened to AA speakers at open AA meetings and I went to a gazillions of Al-Anon meetings. I also visited Dr. Drew Pinsky and listened to his lecture at Las Encinas in Pasadena a few times. He is on a personal mission to educate people on the truth of this disease and stays close to the researchers at Cal-Tec who are studying addiction and looking for a cure. However everything and everywhere I went basically said the same thing. There is no cure, yet, it is in God’s hand and yet despite all the years and years of doctors and scientist seeking cures or solutions we are still only left with one real cure and that is, a spiritual one. The biggest road block for the addict is the shame that comes along with the disease. The judgment and condescending reactions people have towards addiction is very painful for the suffering addict and causes them to hide it. If you are not born with the genetic disease of addiction you simply cannot understand it. 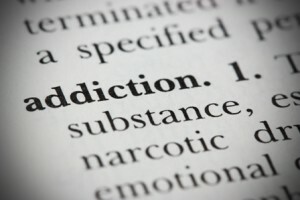 To the addict addiction is not a choice, it is not weakness. It is a mechanism that is present in the brain that is triggered by a fear that drives the user to use. Shame from your loved ones is a pretty good trigger, although no one is to blame, spreading shame only makes it worse. Not all substance users are addicts, it is healthy to use nature’s gifts to ease our pains and rebalance our energies. However, we are all on a spiritual journey and it looks different for all of us. The addict is no worse or better and above all we are all addicted to something in some form. For some of us it shows and for others it is hidden. I tell my two boys that addiction is not to be hidden but something to be talked about something to be explored and shared not something to suffer and struggle with alone. Maybe they don’t tell me everything but they say they can talk to me about anything and that is exactly the way I want it. I tell them what I know, and that if, you are struggling with an addiction of any kind, it is your spiritual journey and it is the way you were born to find God. Now, as a medium I understand this very well, I know that I have a particular set of painful experiences that are trying to change me into a better a person. I speak to my guides everyday. I know what my spiritual journey is, it is to love without attachment. By the way spiritual journeys are ugly for all of us, painful and scary. That is because your soul is in need of more spiritual power which is why we are suffering. When we are debilitated by anything in the physical it is a prompt for us to go higher and seek a Higher Presence in our lives. The presence of something stronger than us, the presence of something more loving the Presence of more Source power. I know of too many young adults who are suffering from this disease without help because they fear judgment and have no one to talk to about it. I know of too many people who have lost loved ones to this disease because they didn’t know it was happening. Unfortunately parents are afraid to talk about it with other parents because they are afraid of being judged as parents. This causes drug use to stay hidden and remain untreated. Maybe it is time to stop hiding addiction in shame and bring it out into the open. I hope for a day when everyone can speak freely of this disease like we do other diseases. I hope for a day when a suffering addict can step forward confidently and say, “I know I’m going to have to probably quit but in the mean time I need someone to talk to about it”. That would be my wish. I am someone that my children’s friends can come and talk to. I tell them you might be one of the lucky ones, the brilliant ones whose spiritual journey is through addiction. I tell them where the best AA meetings are. They are in practically every church. Church has an uncool vibe, I get it, but I tell them there is help there. They don’t have to suffer alone. Have you seen the parking lot at an AA meeting? Filled with sparkling expensive cars. That’s all I say…Let there be light.